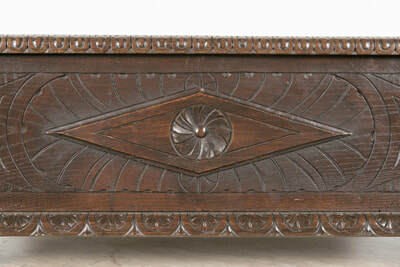 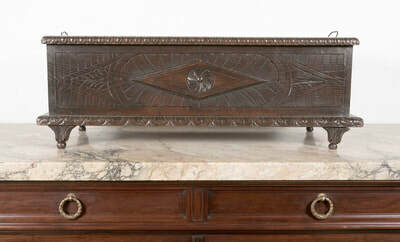 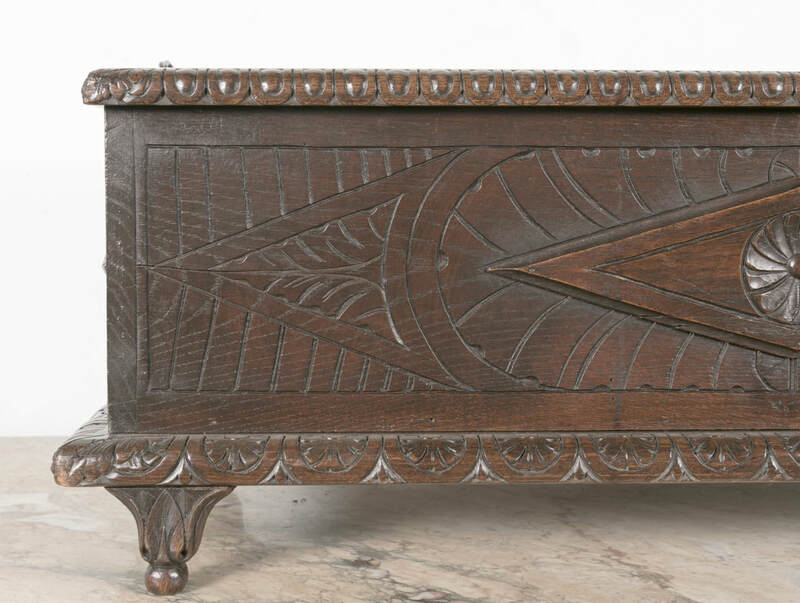 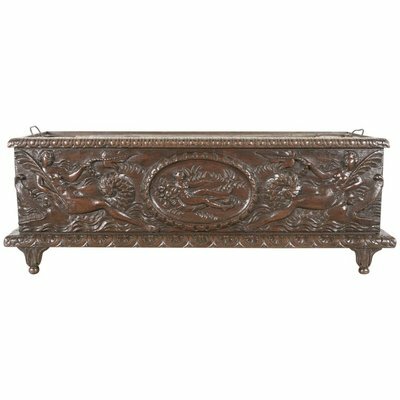 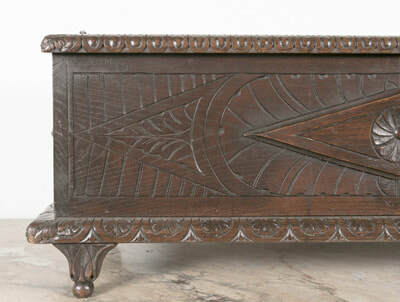 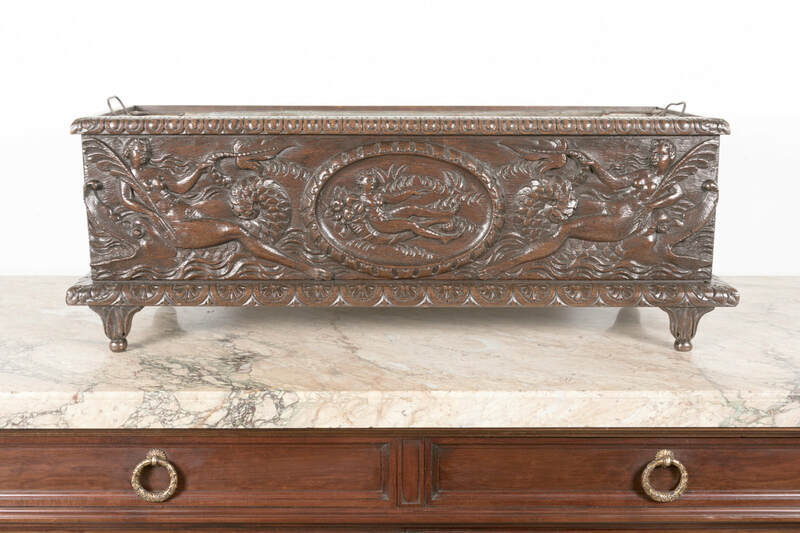 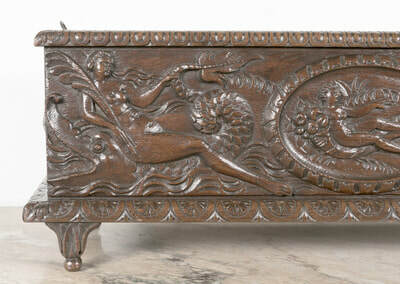 Fabulous 19th century hand carved solid oak French jardiniere, circa 1850. 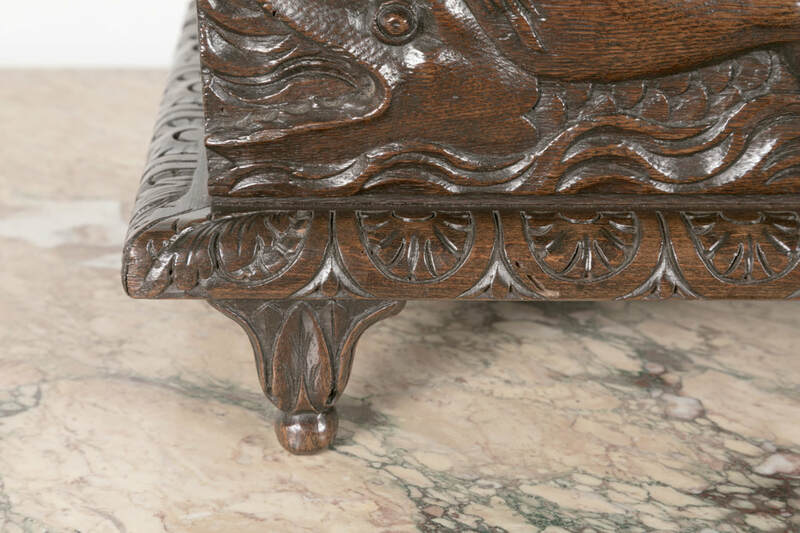 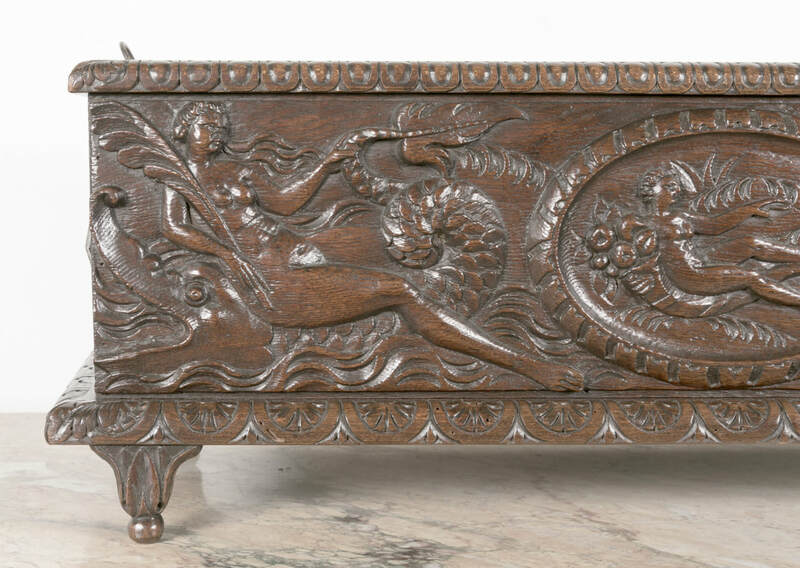 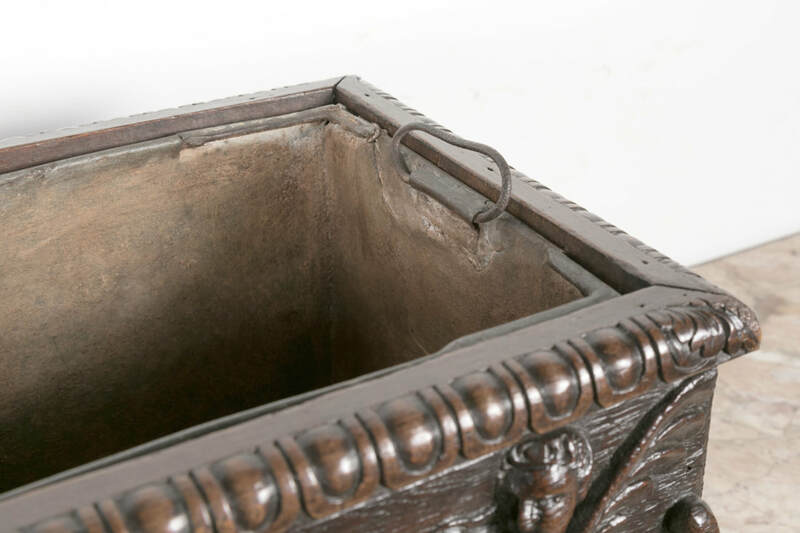 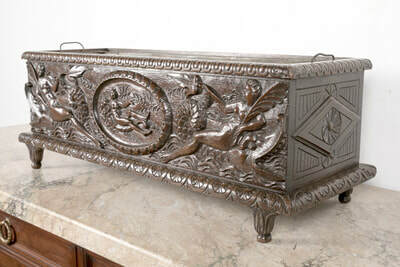 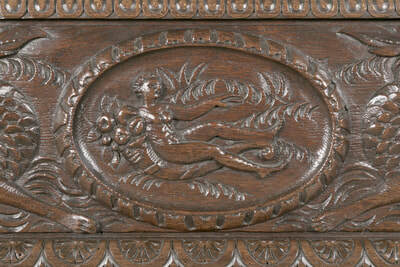 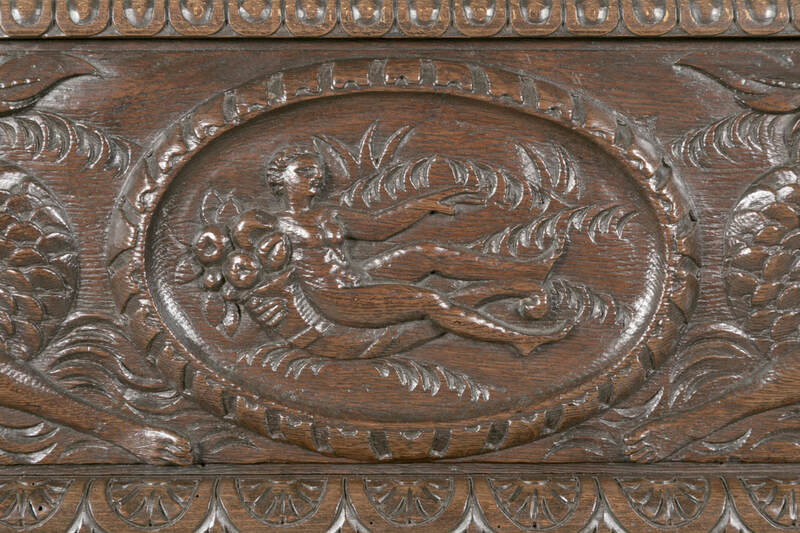 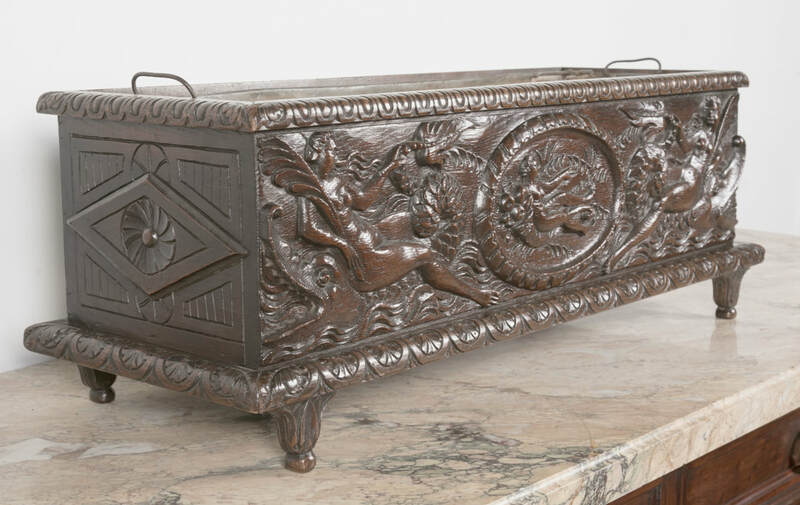 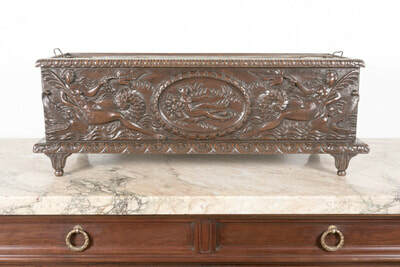 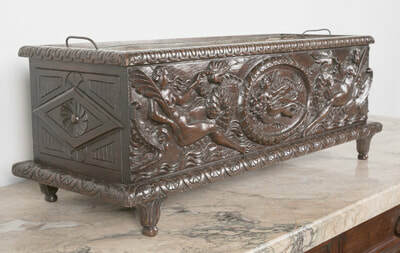 This large wood planter, in excellent condition with a rich patina, is carved on all four sides and features a center nymph with a horn of plenty flanked by sea nymphs riding on the backs of hippocamps on one side and typical decorations of the Auvergne region such as lozenges, rosettes, and geometric patterns on the other three sides. Raised on four small feet, having original removable zinc liner inside. 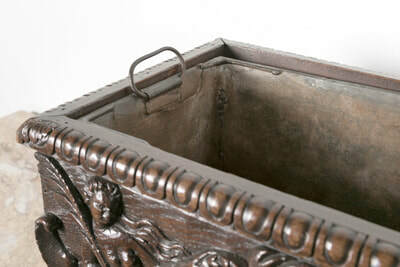 A stunning container for holiday or table top displays.